Lush Fab Glam Inspired Lifestyle For The Modern Woman: Spring/Summer Makeup Tutorial: Beautiful Peach and Aqua Blue Eyes. Spring/Summer Makeup Tutorial: Beautiful Peach and Aqua Blue Eyes. 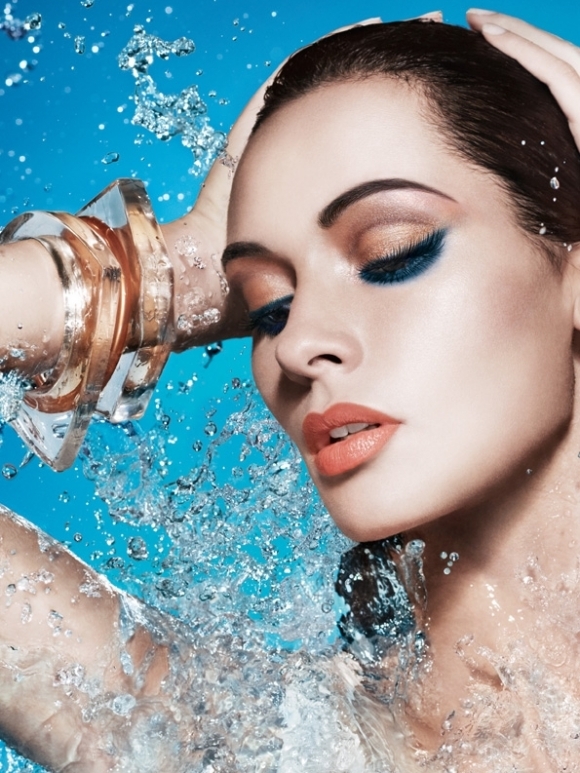 Today we're showing you how to get this beautiful eye makeup, featured in cosmetics brand Make Up For Ever Spring/Summer 2012 Aqua Eye Shadow ad campaign. To get the eye makeup shown in the photo above use MAKE UP FOR EVER Aqua Shadow in Pearly Peach, Pearly Copper, Matte Navy Blue and Pearly Beige. 1. Apply the pearly peach eye shadow on the eye lids all the way to the just below the crease. 2. Apply the pearly copper eye shadow at the crease of your eyes. 3. 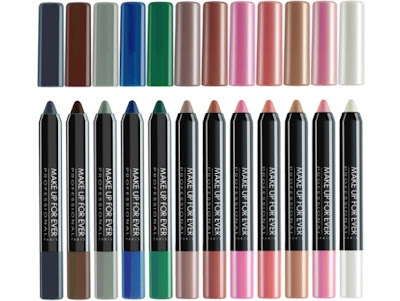 Line upper and lower eye lids with navy blue eye shadow, finish off by creating a slight wing tip. 4.Highlight your under-brow using the pearly beige eye shadow, starting from the middle to the end of your eye brows. 1. Apply the peach eye shadow all over your eye lids, crease and under-brow. (Then follow step 2 above). 3. Apply a thicker lining of the navy blue eye shadow to the lower eye lid and also slightly below the lower eye lid. (Move to step 4 above). 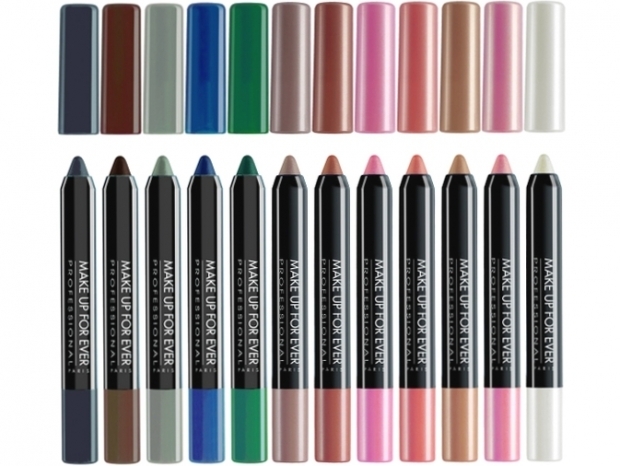 Shop The Look: MAKE UP FOR EVER Aqua Shadow retails for $20 each. See more: Spring Makeup Ideas: Yellow Eye Shadow For All Skin Tones! Will you try this makeup look? Leave a comment below. issues? A number of my blog visitors have complained about my website not working correctly in Explorer but looks great in Opera.